Buy One, Get One Half Off when you enter code WFBOGOHO at checkout. Limit one half-off item per purchase. See details. Share a lovely heart-shaped kringle with someone special this Valentine's Day. 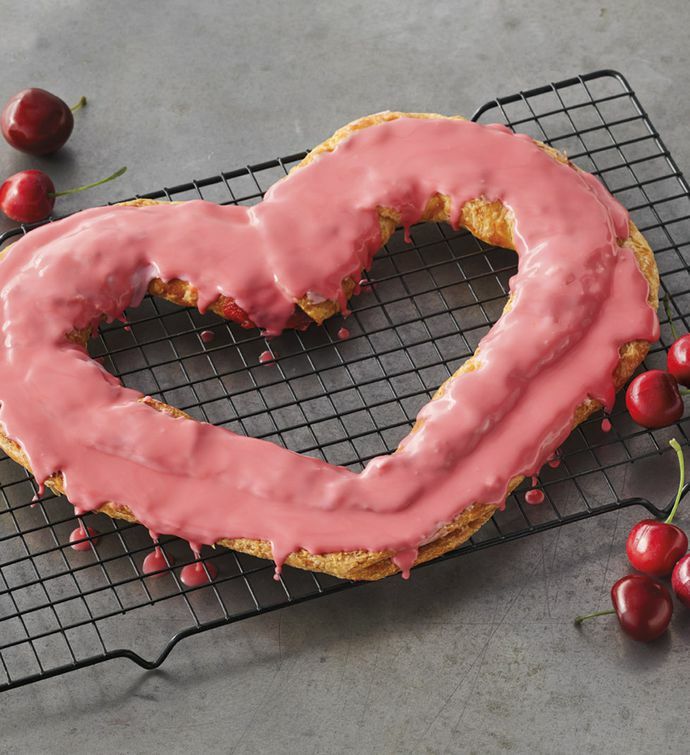 Made with a traditional Danish recipe, this exclusive treat is delightfully flaky, has an exceptional cherry filling, and is topped with a sweet pink icing. Delicious when served cold or slightly warmed.